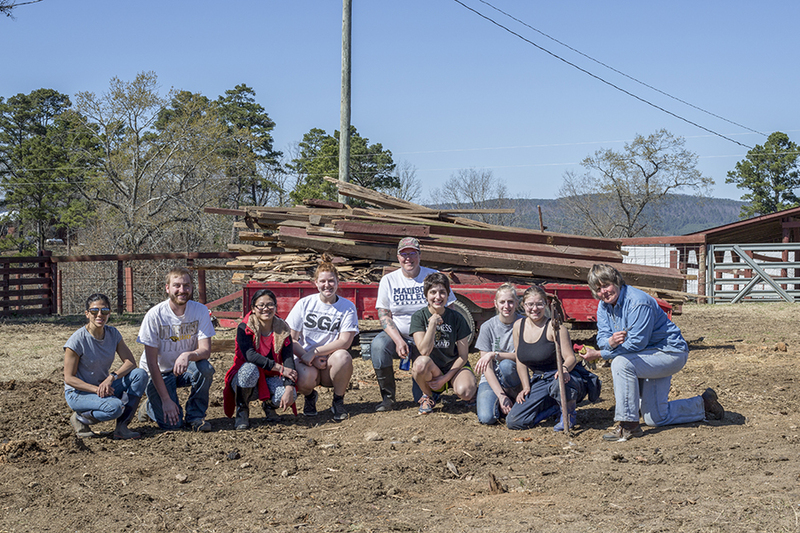 The Madison College Alternative Spring Break Trip to Heifer Ranch in Perryville, Arkansas, was a week of hands-on experiences, marketable training and eye-opening activities. One of the things that the Heifer Ranch guides specialized in was their ability to bring people together from all over the globe. 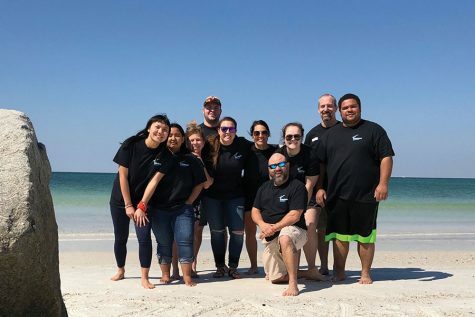 During the week at the Ranch, the Madison College group was paired with a group of students from the University of North Texas (UNT), and both groups were lead by volunteers from France, Germany, and Boston. 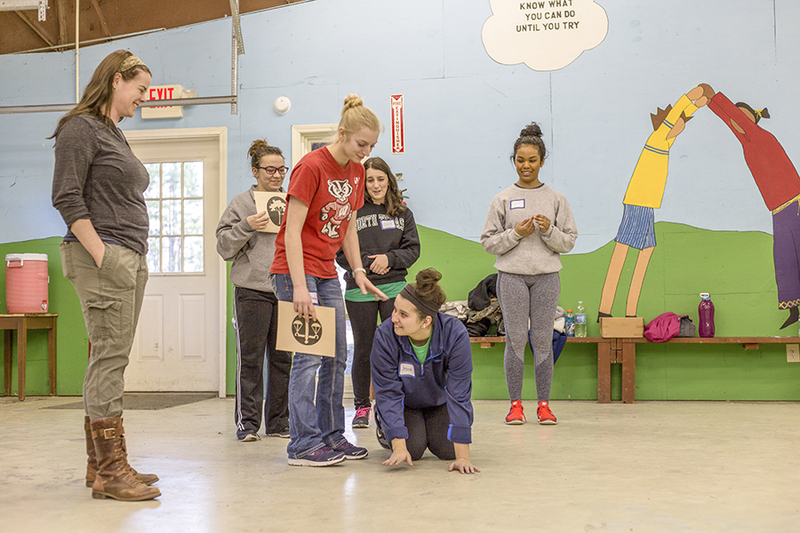 In the picture above, UNT and Madison College students – all still virtually strangers – come together in team-building activities designed to facilitate conversation and explore Heifer International’s foundational values. The group above had three or four minutes to coordinate a skit that illustrated Heifer’s value of serving ‘Genuine Need and Justice’. 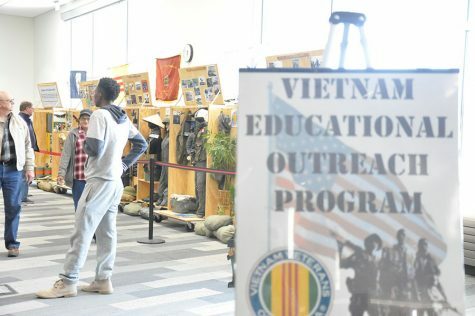 The addition of volunteers from a number of different countries meant that a wide range of viewpoints and cultures contributed to the activities and discussions. 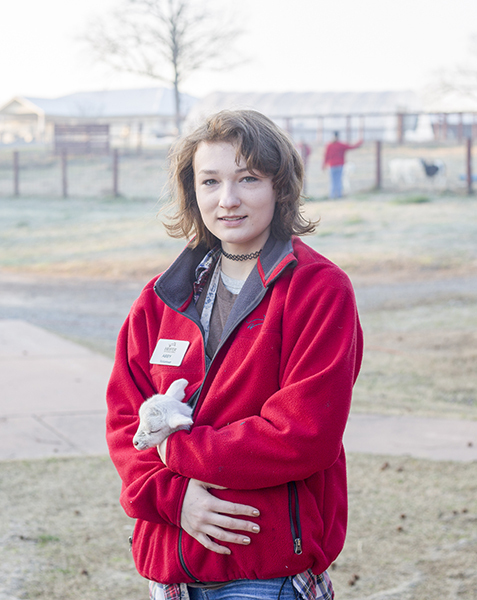 In the portrait to the left, volunteer Abby from Boston is taking care of an undersized lamb named trip who was born during the spring break trip. 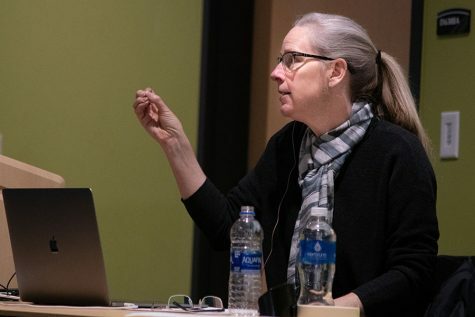 Through her volunteer work in both Boston and across Latin America, Abby gained a singular appreciation for the need for compassion in all human activities. She believed that, at its best, charitable work should come from a genuine desire to improve the lives of other human beings with which we share this planet. During the first full afternoon at the Ranch, students were sent to help process lambs who had been born within the last three hours. Unlike human newborns, most livestock animals are mobile and gain a degree of physical autonomy within hours of birth. By the time Madison College students reached the sheep enclosure, the babies were on their feet and frolicking in the grass. 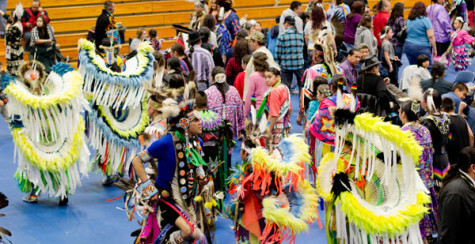 Because of this, catching them for processing (a necessary procedure that all farm animals go through) became a group effort; students fanned out like prehistory hunters in the long grasses and closed in around the mothers and their babies. After the lambs were caught, students brought them outside the fence to be weighed, tagged with their own number (similar to receiving an ear piercing), painted with their mothers’ numbers and, for male lambs, castrated. For Madison College Veterinary Technician students such as Carleen Bohn above, the opportunity to participate in this process provided invaluable hands-on experience in the career field they’re pursing. 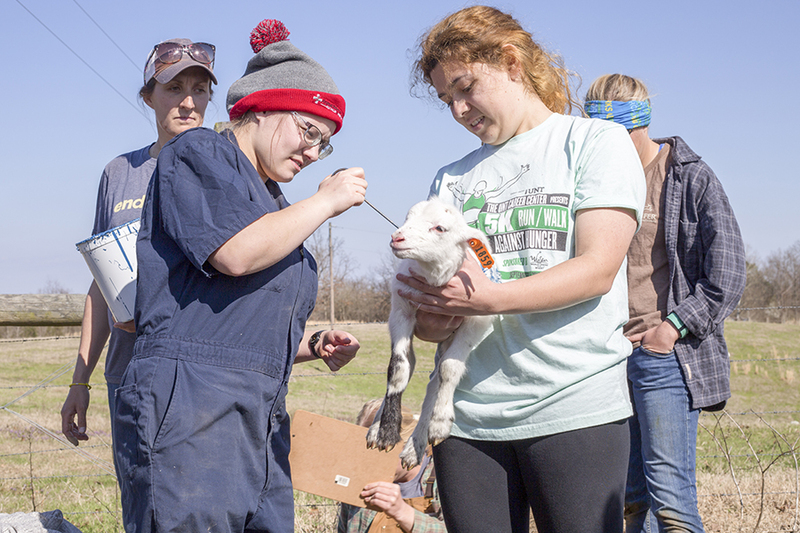 In the picture above, Carleen is seen painting a lamb with its mother’s number while a UNT student holds the lamb still. Painting lambs with waterproof ink is a cruelty-free alternative to branding animals, and allows ranch workers to correctly identify each animal when the need arises. 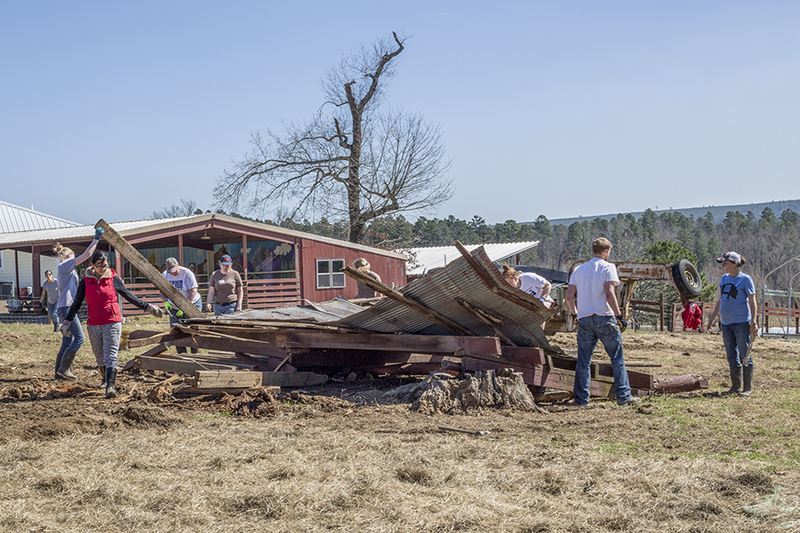 While on the Ranch, Madison College students were given daily labor assignments. 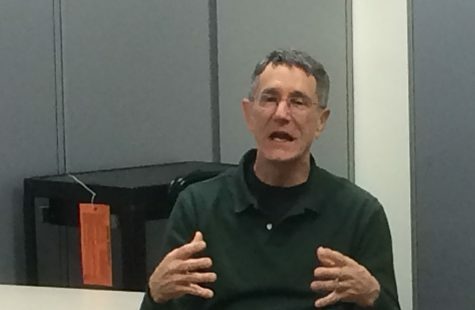 These assignments focused on activities that benefitted the Ranch, but were too labor-intensive to be effectively accomplished by the smaller, full time crew of volunteers. One of the first tasks given to the Madison College students was the demolition of an old barn with sledgehammers, crowbars, hammers, and (sometimes) simple body weight. In the photo above, the Madison College students are immersed in their second day of demolition. At this point, the walls and siding of the barn had been brought down, tractors had come and cleared out the structural supports, and the students were focusing on separating the wood from the metal roofing – harder than it might sound! Yet the hard work was worth it: removing this barn made room for a floating prairie schooner, a large rolling device that can house up to 500 chicks after hatching. Every morning at 7, young volunteers from around the globe head to the show barn to participate in morning chores. On a farm such as Heifer Ranch, this could include anything from milking goats, feeding newborn livestock, socializing rabbits, watering pigs and cows, or tending to the trio of turkeys who sashayed around the barn with a distinctly macho swagger. 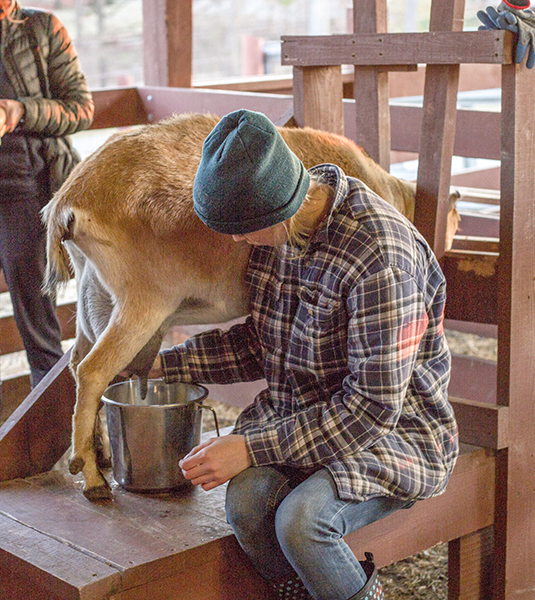 In this photo, volunteer Marie from France is teaching Madison College students to correctly milk a goat. Smaller and easier to handle than cows, goats are an economic and labor-efficient alternative to the quintessential milk-giving bovines. Goat milk can be turned into soap, cheese, whey protein, or it can simply be consumed in its natural form for a tangy and protein-rich treat. Nursing mothers can continue to produce milk for months after their baby has been weaned, at no discomfort or disadvantage to mother or offspring. One of Heifer Ranch’s foundational values is an emphasis on educating the world in sustainable and mindful living practices. This mindset often leads to innovative uses of limited resources; a perfect example of this is the bio-gas oven and heater found on the Thailand grounds in the global village. Pictured above, the bio gas burner is made possible by the nearby pig sty. Pig manure is collected in the sty and funneled through the pipe (far left) into a recessed tank in the ground. There, the manure begins to decompose (forming a rich fertilizer which can later be used for gardens and crop plots). 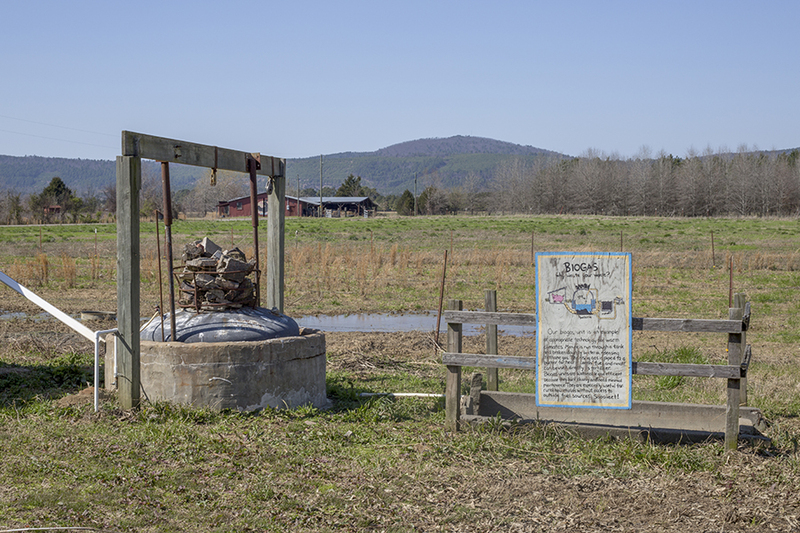 Rising gases from the manure are channeled through the brazier of rocks above the tank, and can be burned as a reliable source of heat and cooking fires. Incidentally, burning the rising methane gas serves a double purpose: lighting these gases on fire renders them harmless to the atmosphere and the environment. During the final days of the trip, UNT and Madison College students were given the opportunity to make pizzas from scratch using ingredients collected almost entirely on the farm. 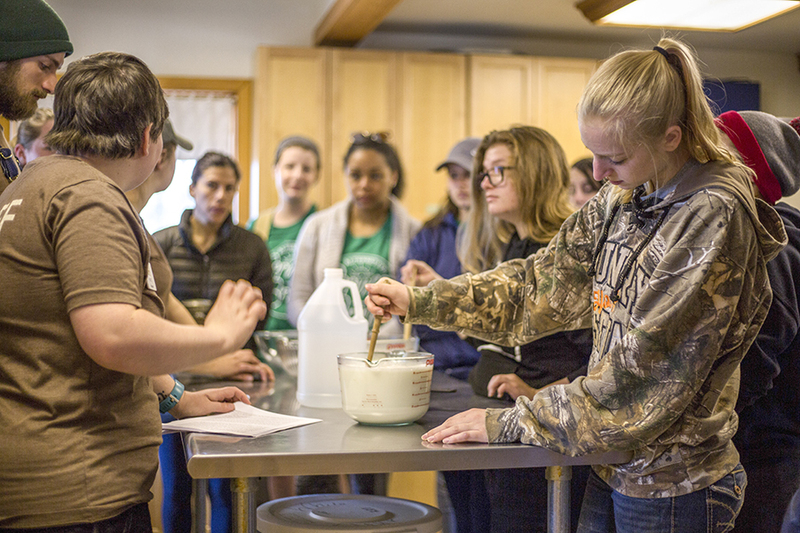 This activity included learning how to grind flour from wheat kernels, making cheese from raw milk, making sauce from scratch, and a lengthy discussion above the food systems across the country that permeate our lives. In the photo above, Madison College student Brooke Lustig stirs milk and vinegar in the beginning stages of cheese making. Still hot from pasteurization on the stove, the milk is combined with vinegar, causing it to curdle and turn into curds (essentially unflavored chunks of mozzarella cheese) and whey (a yellow liquid that is often dehydrated and turned into protein powder). After curdling and separation has happened, the curds are filtered out of the whey and seasoned according to the tastes of the consumer.